Here’s this week’s open thread for discussion and our regular round-up of some of the articles and blogs we’ve noticed over the last week or so, but not had time to post about. If you have a link or comment that doesn’t fit anywhere else and would like to share it, feel free to drop it in the comments here. TRIGGER WARNING: This post contains links to external websites and blogs, some of which have comment threads and other material which some people may find triggering. The links here are posted in good faith but, as The F-Word has no control over the content of external sites, readers are advised to use their discretion and approach them with due caution. DON’T SHOOT THE MESSENGER CLAUSE: The inclusion of any link in this post should not be construed as agreement or disagreement with its content by anyone at The F-Word. Links are posted for information and/or discussion purposes only and do not reflect any form of “official TFW party line” on any subject because there is no “official TFW party line”. IMAGE ATTRIBUTION AND DESCRIPTION: The Public Domain image at the head of this post is The Earth seen from Apollo 17, from Wikipedia. 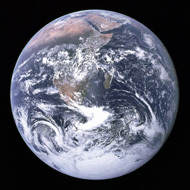 “The Blue Marble” is a famous photograph of the Earth taken on December 7, 1972 by the crew of the Apollo 17 spacecraft en route to the Moon at a distance of about 29,000 kilometers (18,000 statute miles). It shows Africa, Antarctica, and the Arabian Peninsula.